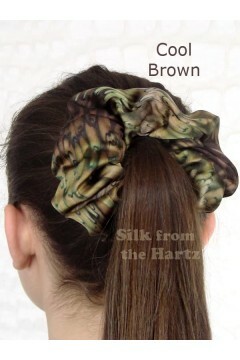 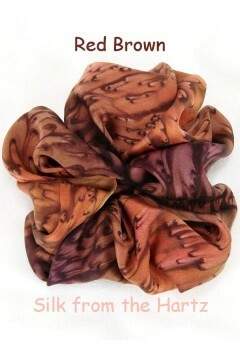 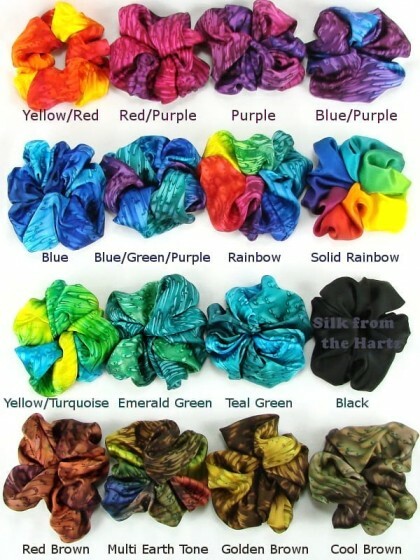 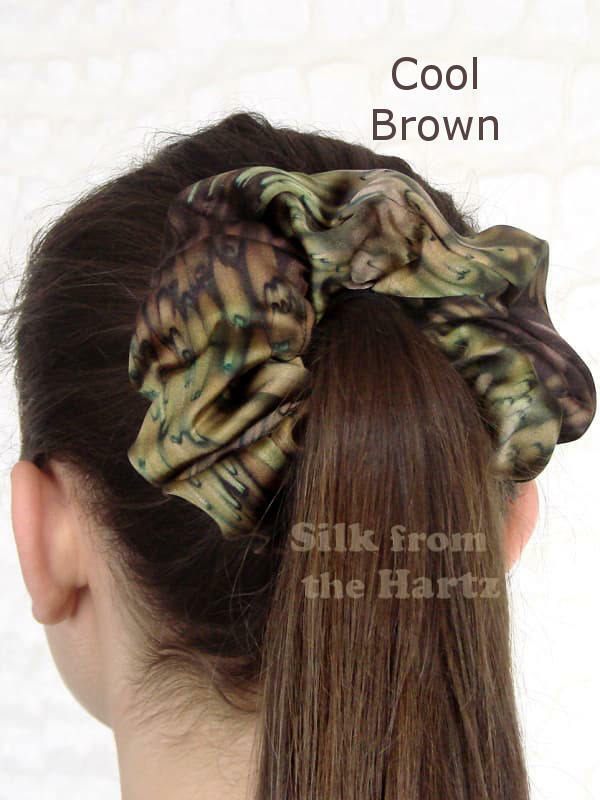 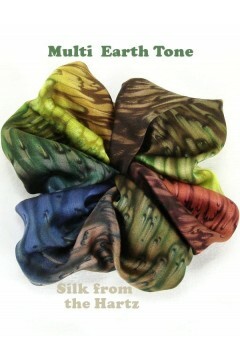 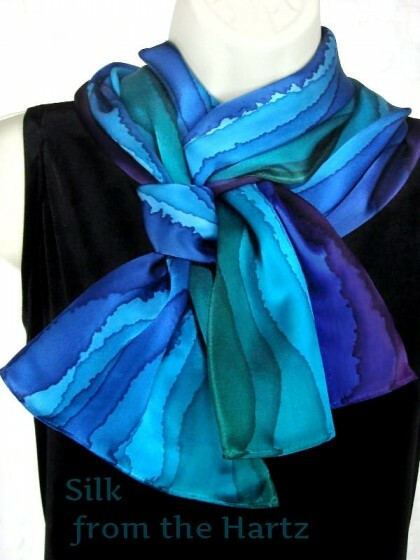 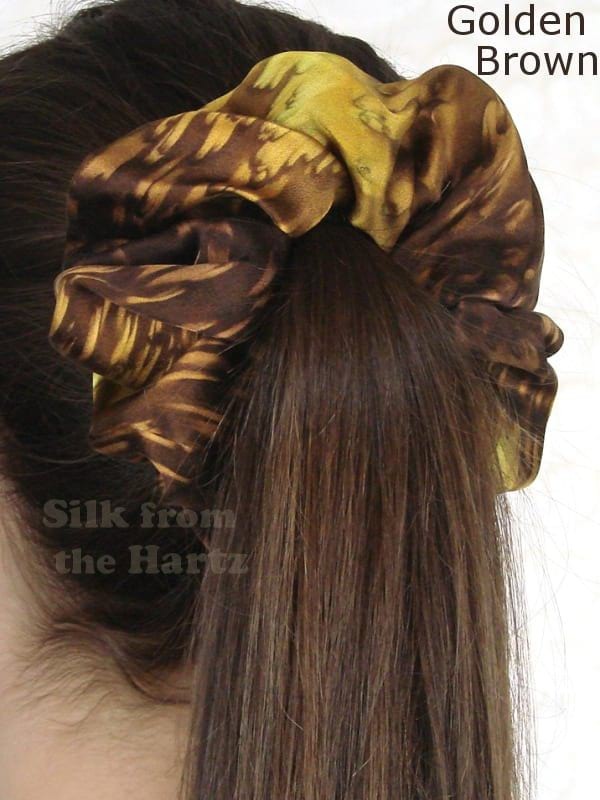 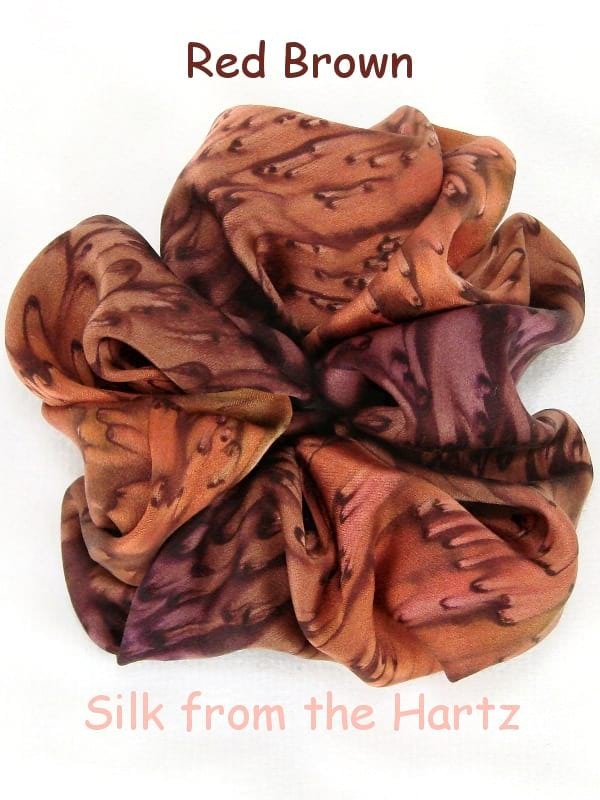 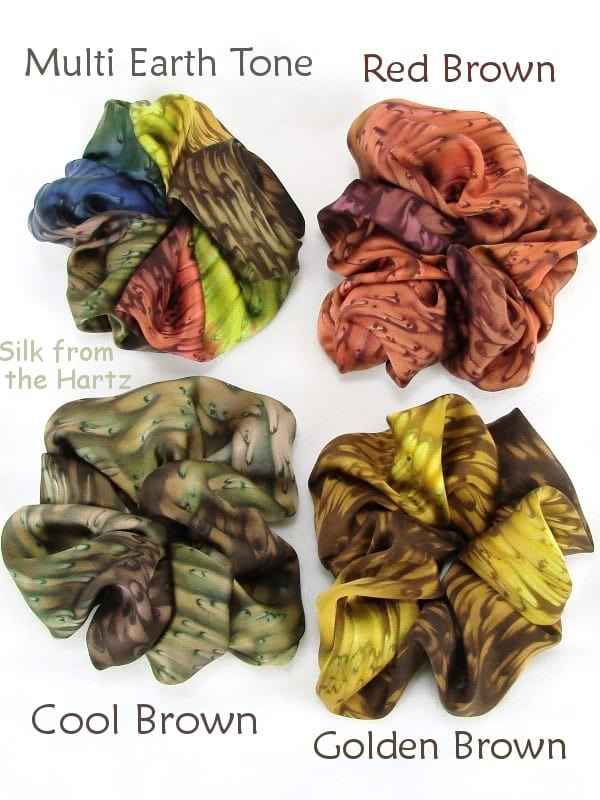 Silk hair scrunchies creatively hand dyed in beautiful earth tone fall colors. 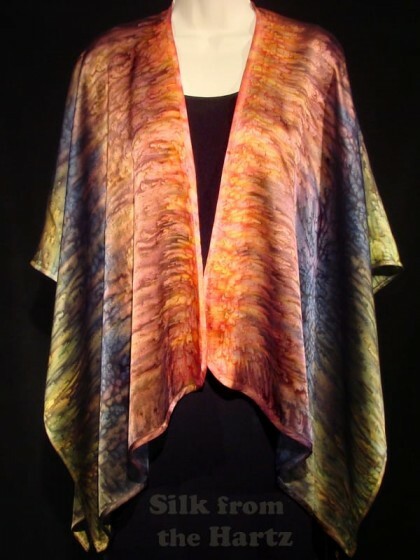 Give her a unique handcrafted artisan gift she will love. 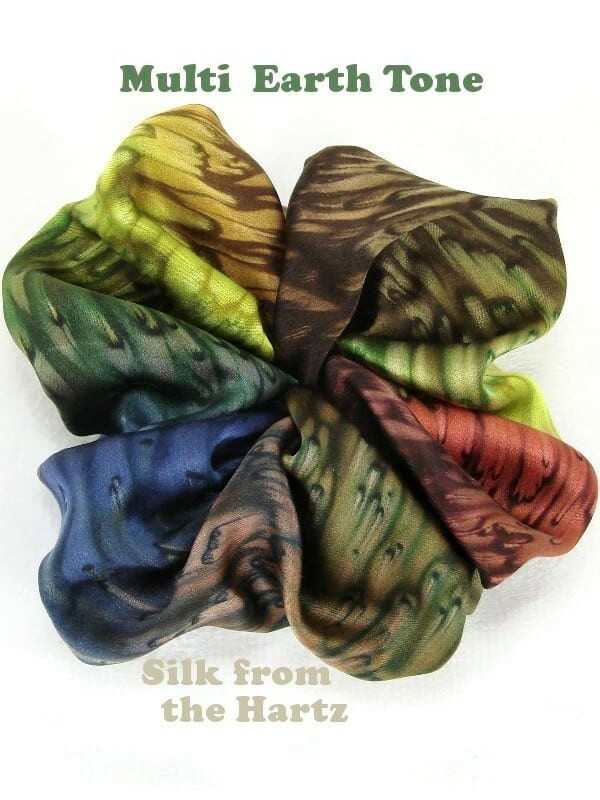 Your long hair will love the softness of silk satin, hand dyed in golden brown, red brown, cool brown, or multi earth tone - a blend of browns, greens and denim blue. 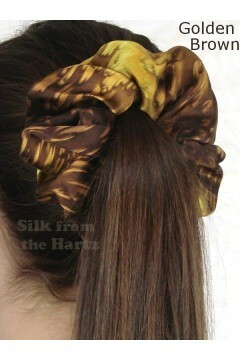 Elegant fall fashion hair accessories for long hair. 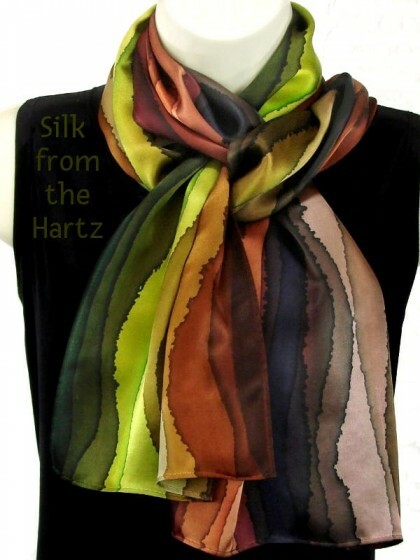 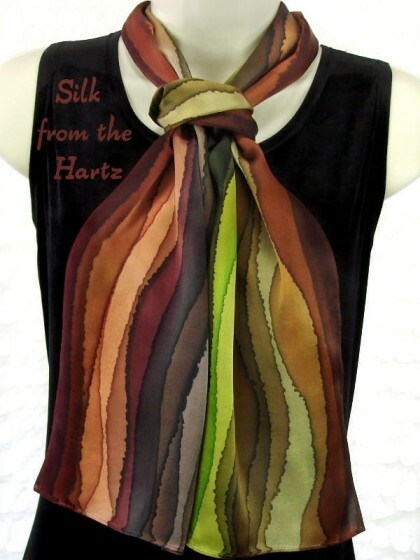 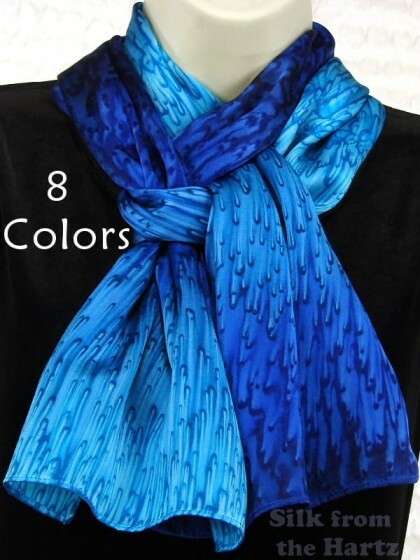 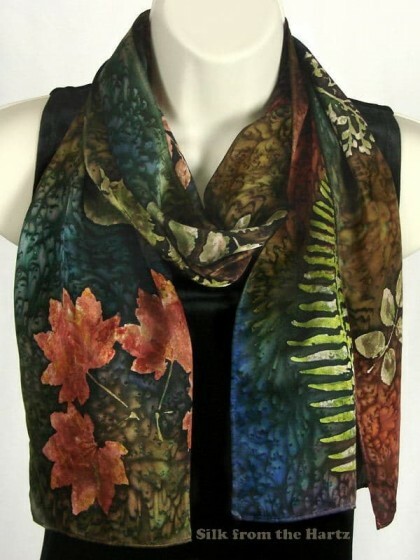 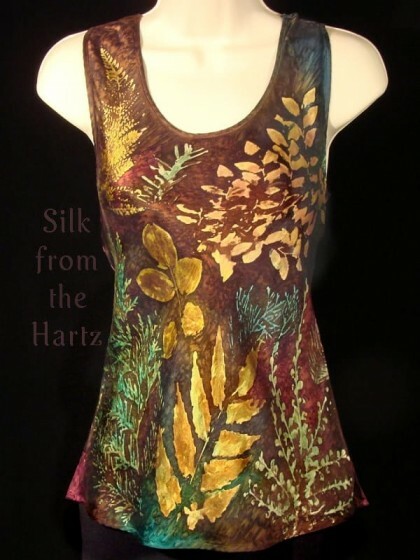 Brown, Jewel Tone, or Rainbow Colors Hand painted by the artist in a unique and elegant stripe design on an 8" x..